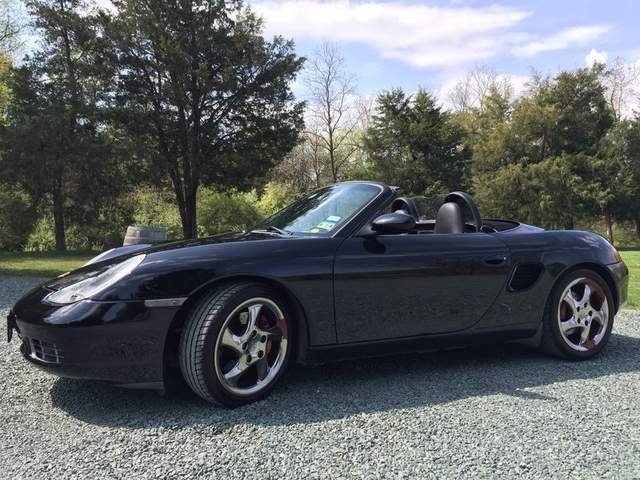 I'll be moving abroad this summer, so I'm reluctantly selling my Boxster S. I'll be driving cross-country from Virginia over the next 1.5 weeks, and will be selling when I arrive to the West Coast (Oregon and then Seattle) starting on the 2nd of June. The miles given (~87,000) reflect the estimated odometer reading at that time. -Chrome on wheels peeling. You can re-chrome them, or peel them all off to go with a matte maroon wheel look. -The body and windshield have various nicks (none large) but no dents.